It's finally here! By the time this post goes live Christmas Day will be nearly here and everything will be wrapped and ready for delivery. Christmas Eve was a quiet day. Not everything went quite to plan (cue the last minute dash out to Asda) but overall, it was a lazy relaxing day. I started off by wearing my absolute favourite jumper of the season. It's a Primark special and to be honest I haven't worn it as much as I would have liked as it's just been too flipping hot here in the UK! I think though it should be worn on Christmas Day - whatever the weather. 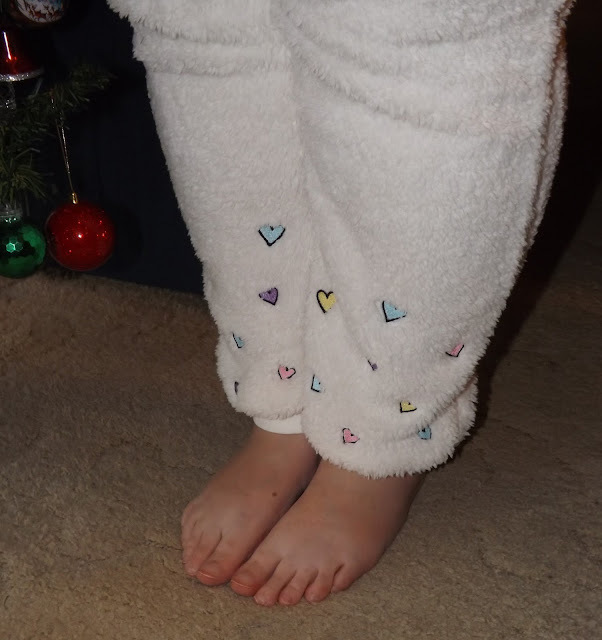 As there were no plans to set foot outside the door for the rest of the day - it was was time for pajamas and real relaxing. I bought this set from Primark a couple of months ago thinking it would keep me warm. Well it certainly did that - I nearly expired wearing it! The detailing is so cute! These were an 18-20 and fitted just fine. From about midday onwards, it was time to track Santa on the Norad web site. This is a tradition we do every year. It was something we started doing it with friends in Australia a few years back so that we could all see at the same time where Santa was at various points throughout the day. I can't imagine a Christmas Eve without it now. 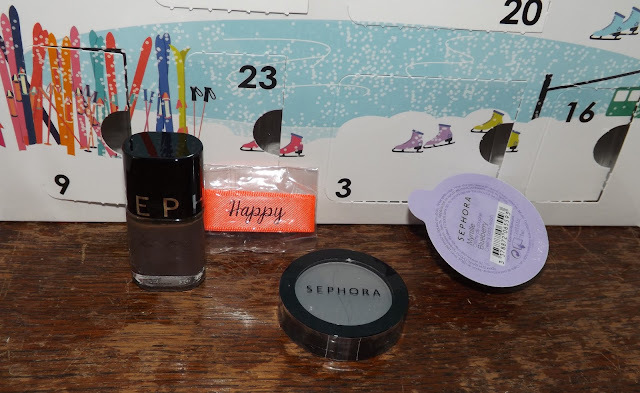 And now, the Sephora Advent Calendar. The last 4 days had a body wash, ribbon (? ), nail varnish and finally an eye shadow for the 24th. Overall, it's not been a bad calendar. As it's the first ever beauty type calendar I've ever bought, I've really enjoyed seeing what goodies there were each morning. Like most, there's been a few odd days, but overall, I'm quite pleased. Next year though, I already have my eye on the Body Shop one. After watching some YouTube videos of it, it looks amazing. Finally - a very big THANK YOU for taking the time to read my Blogmas posts. I managed to do more days than I thought I would so I'm pretty chuffed.